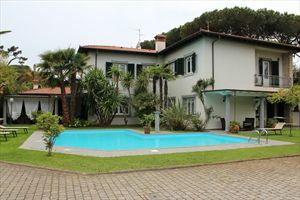 At the entrance there are two main halls with living room and dining room, a kitchen, a service room and a bathroom. 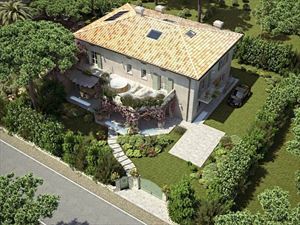 The first floor includes 4 master double bedrooms, four bathrooms and a single bedroom. 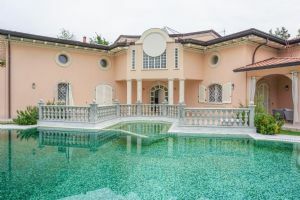 The depéndance includes two double bedrooms, a bathroom, a wine room, a large laundry area and a warehouse used as a pantry for the large outdoor reception kitchen, but covered. 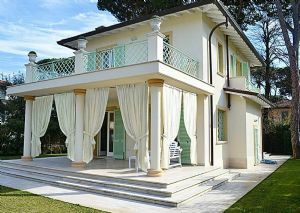 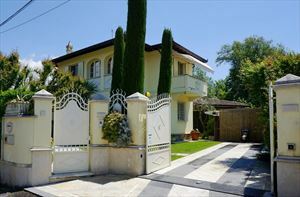 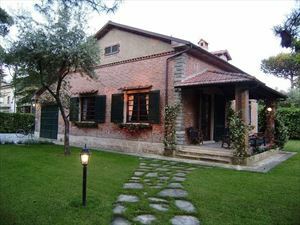 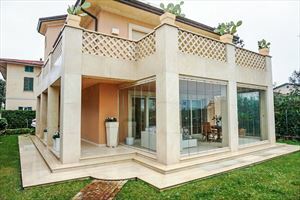 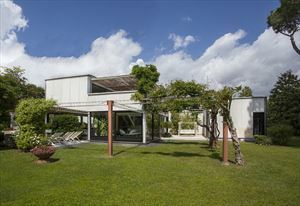 The Villa is also equipped with an alarm system, air conditioning, car parking and Wi-Fi Internet connection.